In previous blog ‘Schiphol new logo: the colours’ I submitted the new logo of Schiphol Amsterdam (work of dBOD/Schiphol airport) to a genetic semantic colour analysis. The used colour combination was blue-on-white, where the background shape with its light grey tint was determined as white and the type on top as blue coloured. Now I will analyze the background shape according to the same method. The Schiphol-shape manifests a movement that can be read from left to right. The starting shape accords codically to the colour combination white-on-white. Science and knowledge with as an image the ruler that is used when measuring and registering. Air, wind, wind vane, horizontal. Hygiene and sterility. in situations where hygiene is important you retrieve the tile or grid structure. The ordinary, the cheap. The grid structure in kitchen textile or to indicate an honest, economic price. Let’s examine the different aspects of the starting shape more closely. The ‘white’ shape is ordered and small, such as the millimetres on a measuring rule, such as millimetre paper or the grid pattern of a spreadsheet. White clears things up, makes things as such visible that the colour is matched with exact sciences, in which one’s measures and registers. This shape arouses a feeling of neat straight knowledge, without false ulterior motives. Illustration by Michelle Whiffin. 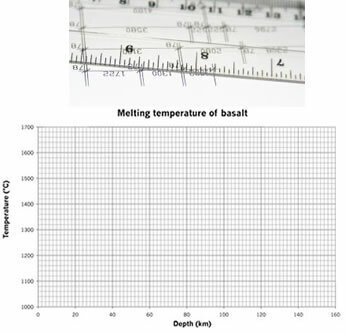 Melting temperature of basalt chart. Whereas black, the semantic opponent of white, is a colour that covers and hides, white stands for brightness and clarity. In this car publicity the inner functioning of a car is exposed and the whole image in the white colour gives the car a scientific cachet. 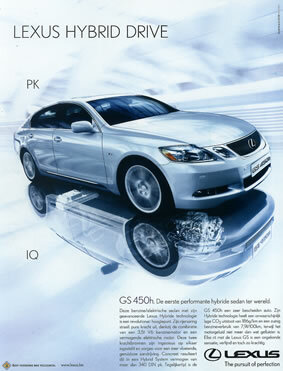 Lexus Hybrid Drive. Everything what has to do with sciences is often pictured in the white colour and with the white attributes such as white aprons and measuring devices. Website banner Nortwestern university NUIT. There are curved and straight roads. The straight path is the shortest, the most efficient. To follow the straight path indicates virtuousness. Air and wind includes blowing and ventilation but also blowing into a wind instrument, breathing or speaking. This concept of airy weightlessness and insubstantialness is expressed with white symbols and forms, such as a cloud or horizontal straight lines. Wind is presented schematically by placing a number of horizontal lines above each other. 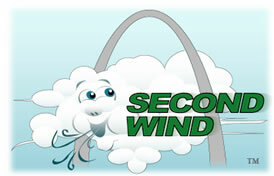 Logo St. Louis Second Wind Lung Transplant Association. 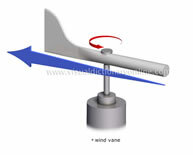 The wind vane shows the horizontal direction of wind. Nowhere will you encounter a picture of the wind in vertical lines. The horizontality and the straight line are important graphic characteristics which belong to the white feeling. Speaking and language presented with horizontal lines in this icon. When graphic designers or artists present the wind they use the white colour. 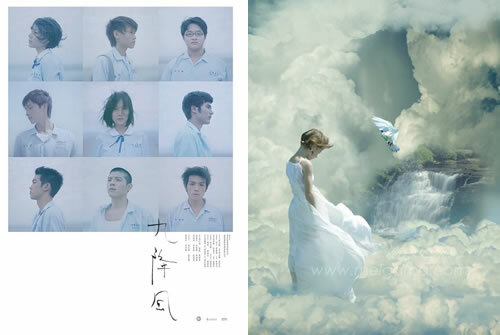 Winds of September, Taiwanese movie, movie poster. Heaven Is A Place On Earth by MelGam. White is the lacking of dirt, both figuratively and literal. In publicity for detergents the white colour is omnipresent. Purity in the white colour is retrieved time on time again. Mosaic tiles with their regular grid pattern are especially used in bathrooms and washing accommodations. A public toilet in Kuala Lumpur, Malaysia. The kitchen is the most trivial place in the house and a symbol of ordinary, everyday life. The white grid pattern is present in all forms of kitchen textile: the kitchen apron, the kitchen towels, the kitchen tablecloth etc. 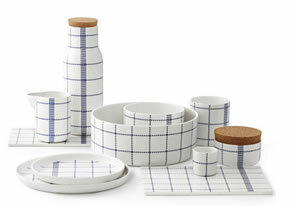 Original tableware by Gry Fager. White is the colour of honest simplicity. A price list on a white squared paper gives a feeling as if the price is honest and economic, for the common people. 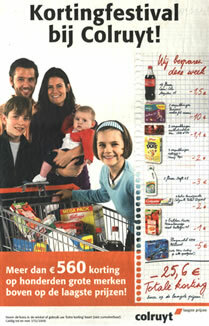 “Discount festival at Colruyt!”, advertisement for Colruyt hypermarket Belgium. The end shape accords codically to the colour combination white-on-blue. The reversed version of the colours used! (Read previous blog ‘Schiphol new logo: the colours’) As a result you will find reversed meanings. This becomes interestingly because these connect more closely to the concept of ‘airport’. To take off, lift, ascending the staircase, to make a career. To reach the top, become the number 1, to be the leader, to be rich and powerful. In all activities where the movement is upwards you retrieve this rising image in the white on blue colour combination. Among other things in the imaging of lift companies. 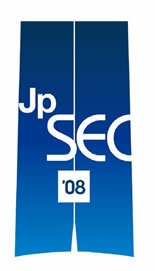 Japan Space Elevator Conference 2008, logo. And (more concerning our subject) in the world of airline companies. Colonial, poster. Ad for British Midland. By placing white above blue a release arises. The laws of gravitation have been raised and we take off in an unreal world without worries, pain or suffering which situates itself symbolically between the white clouds against a blue sky. 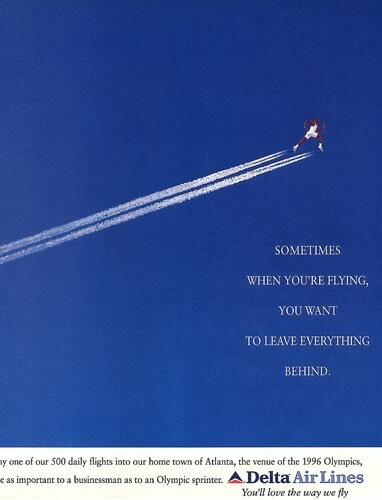 “Sometimes when you’re flying, you want to leave everything behind”, ad for Delta Air Lines. To ascend a staircase or ladder is a metaphor for a succeeded career. 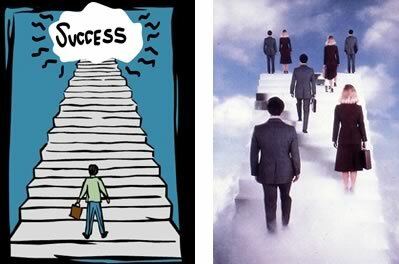 Steps to success, illustrations. For a successful company growth. 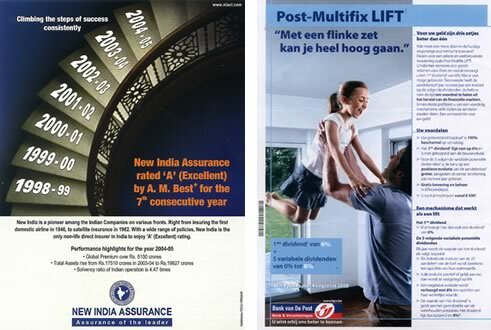 “Climbing the steps of success consistently”, New India Assurance. Or for the profit of a mutual fund. Post-Multifix LIFT “With a strong ploy you can go very high”, ad for the Post Bank Belgium. In religions the white on blue concept is very considerably present. When gods leave the earth they take off, without the aid of a plane and seemingly without effort at all. Like the virgin Maria in the Christian tradition ascends from her grave, one way destination heaven. Assumption of Mary, painting by Mateo Cerezo, Muzeo Del Prado, Madrid. 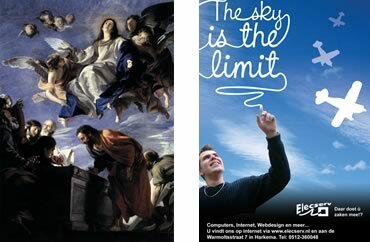 “Only the sky is the limit”, ad for Elecserv. If one has reached the top then one stands really at the top, then one is the leader, the man or woman with power, where all others look up to. Top function captain, ad on the occasion of Chinese new year, MISC China. 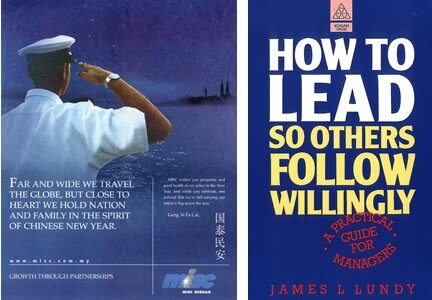 “How to lead, so others follow willingly”, James Lundy Book cover . The low/high metaphor concerning social status is universal. 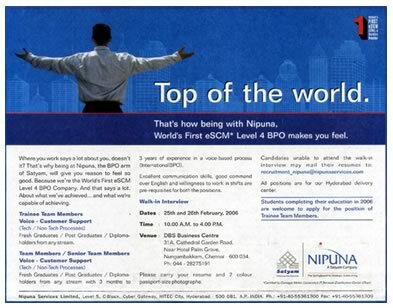 “Top of the world”, job opening for Nipuna, India. The direction is up high. 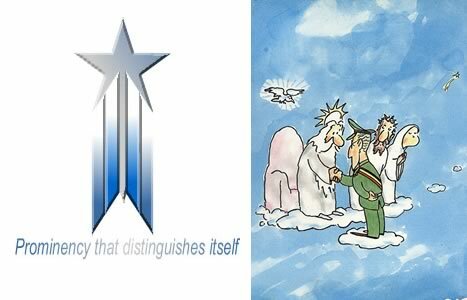 Then one resides with the other masters of the earth, a select club of a happy few elite. “Prominency that distinguishes itself”, logo. The Belgian king Boudewijn shakes hand with God, Cartoon. Then one gets a beautiful salary or is one rich. “Become outrageously rich, on Friday!” , leaflet for Euro Millions, National Belgian Lottery. 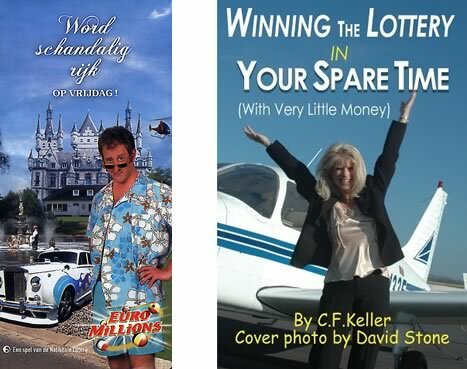 “Winning the Lottery in your spare time”, CF. Keller, book cover. To be rich is often associated with flying in a private airplane. A tower is on the one hand visible from a distant and offers on the other hand also an overview or panorama. “Like the overview, so is the bank”, ad for Kredietbank Belgium. The tower functions as a guiding leader. Looking ahead and having an overview are qualities which are important with consultancy services. 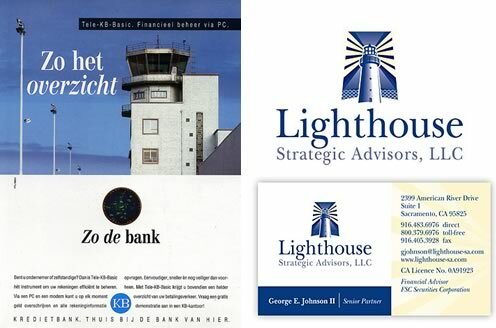 Lighthouse, Strategic Advisers, LLC, logo. Presenting a product or service as something giant is a trick which lifts the subject at a higher level and grants it status and prestige. 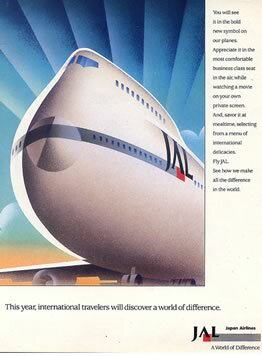 Ad for JAL Japan Airlines. 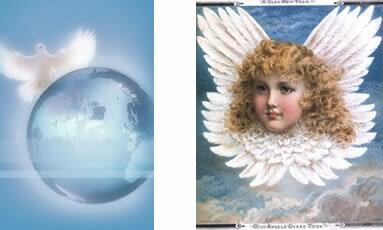 The bird is the embodiment of the desire of the people to release oneself from the ‘heavy’ earth and to become as angels: getting access to a higher realm. Picture from the web site of the nuns of the priory of Bethany. “good angels guard thee”, Christmas card. The bird symbolizes the freedom, the stripping of of restraints and ties. A picture that is sometimes used by banks to entice the customer by promising financial freedom. Indeed, being rich includes getting rid of the need to earn the daily bread through labour. 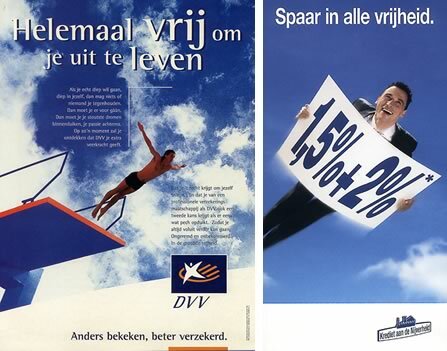 “Entirely free to live it up”, DVV insurance advertisement. 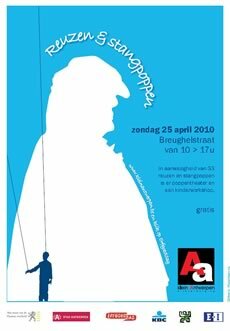 “Save up in all freedom”, Krediet aan de Nijverheid, bank leaflet. The white-on-blue feeling is comfortable, stressless, and the image, floating between the clouds, is used by airline companies. 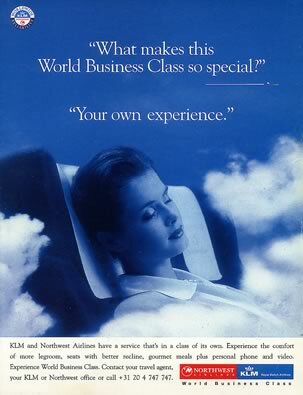 “What makes World Business Class so special?”, ad for KLM. They allude on a feeling of wealth and upper class that comes with that comfortable feeling. 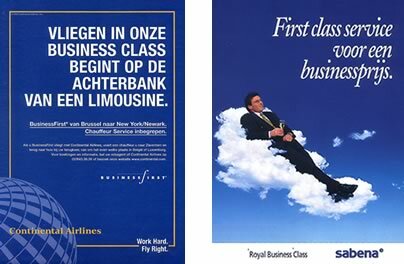 “To fly in our business class starts on the back seat of a limousine”, ad for Continental Airlines. “First class service for a business price”, leaflet for Sabena Airlines. Planes presented in white-on-blue are in fact falsified pictures of reality. It means flying like the angels, without effort, without the driving power of an engine, without being submitted to the earthly gravitation. It is a supernatural condition. 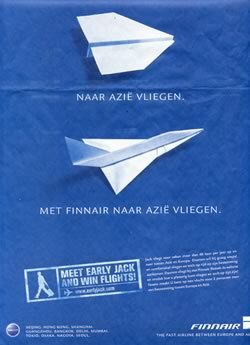 “Fly to Asia – Fly with Finnair to Asia”, ad for Finnair Airlines. The impact of taking drugs is described as ‘feeling high’. Indicating a feeling of release and liberation of social en mental heaviness where earthly people are subject to. 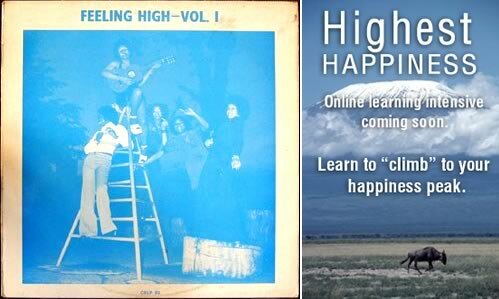 LP cover “Feeling High – vol 1” – Shelley Records, book cover “Highest Happiness”. The highest happiness is indeed located somewhere higher up. Reaching the nirvana by the Buddha is expressed in this animation (click on the picture if the animation is not working). The Buddha sits high between the clouds and the ultimate moment of its release is pictured with a white-on-blue radiation. 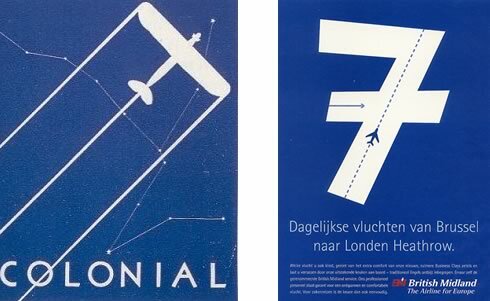 The background shape of the new Schiphol logo narrates a movement from white-on-white to white-on-blue. “To take off with science and virtuousness” could express in one sense what includes the core of this communication. The top is then reached in an effortless manner, without impediment, as taken along with the wind. Once above, released from the gravitation and earthly botherings, we float free and comfortably as an angel between the clouds. The term ‘airport’ is approached partially here. Positively to this shape is the reference to the take off, the flying and the concept of the tower that guides the airplanes. However, the mooring, the anchoring and also the hub function, in short the ‘harbour’ concept of an airport is not pictured. The white-on-blue concept is nevertheless perfectly suitable for airline companies.